If you paid close attention to his way of telling a story you realized that he ran the Indian to death by running away from him. This is the tall Glenn who used to demolish street signs he bumped his head on. 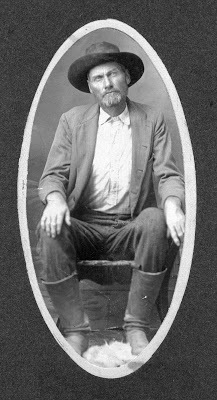 His cousin John B. E. Glenn, my GGG Grandfather, was 6 ft 5 inches, according to his Mexican War discharge papers.